Join us for our 3rd Annual FRNCA 5K Scholarship Run / Walk & Chinese Auction. 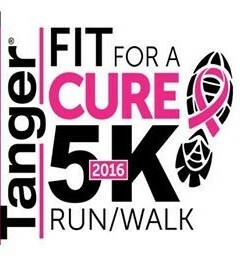 Runners pay $20.00 to register in advance, or $30.00 on the day of. This is a Rain or Shine event with tons of wonderful prizes. The first 100 registrants get a gift bag and T-shirt. 5K course: The run starts and finishes on Hampton Hills Golf and Country Club Road. Directions: Suffolk County Road 51 to Hampton Hills Golf and Country Club. Parking will be at the Club. The entrance on Suffolk County Road 31 will be closed. Race Directors use our Race Director form on our CONTACT Page for race directors to request free listings and information on our timing and registration services. If your already using ItsYourRace, Log in and RENEW for 2017 Or CONTACT us with your new date and we'll do it for you. Check out the new proposed look of LIRunning in this sneak preview. Let us know what you think. Use the CONTACT form to comment. and Share on Facebook. The Official Launch will be December 1, 2016. Update Your Race information for 2017 for inclusion. Tell us about your race on our new CONTACT forms at the new website. If your race is an ItsYourRace event. You should renew it for 2017. If you would like me to renew it for you, email me with your new date. I'd like to see all of you live when we launch. Use our new CONTACT forms on the new website. We are looking forward to a great 2017. If your not on ItsYourRace, You should be! It provides a full website for your event and from registration to results and will always be promoted on LIRunning. I'll do all the work for you in setting it up. Use our new CONTACT forms on the new website and I'll send you the information you need to get started. Timing Quotes will go out in December. New Contracts will be sent in January. Use the new CONTACT forms for all information as well as Quote Requests. You are subscribed to this mailing list as [Contact.Email]. Please click here to modify your message preferences or to unsubscribe from any future mailings. We will respect all unsubscribe requests. 10-23 McVey 5K, East Meadow. ItsYourRace Get the Free App! 10-22 Run for the Ridley 5K Riverhead. The fall calendar is getting bigger by the minute. We are experiencing a nice fall cool down. Let's enjoy it. The Timing for Results site has been designed to cover our races that do not use ItsYourRace. Click on Past Events/Results to find the results for your race.